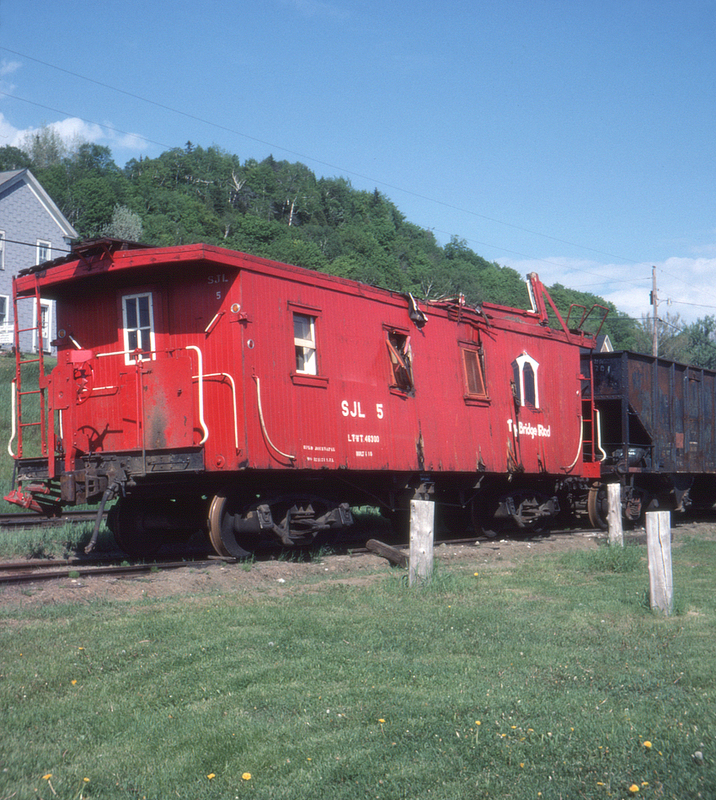 St. Johnsbury & Lamoille County caboose no. SJL 5 has evidently met with an unfortunate mishap, as is apparent in this slide taken in West Danville, Vermont. The SJ&LC used the nickname "The Bridge Road" because of the historic wooden bridge located in Wolcott, Vermont.